Put some honey in your wallet! 4 options to choose from including Full Time, Part Time, & Full Time with 3 day weekends! Check out the current openings for more details. 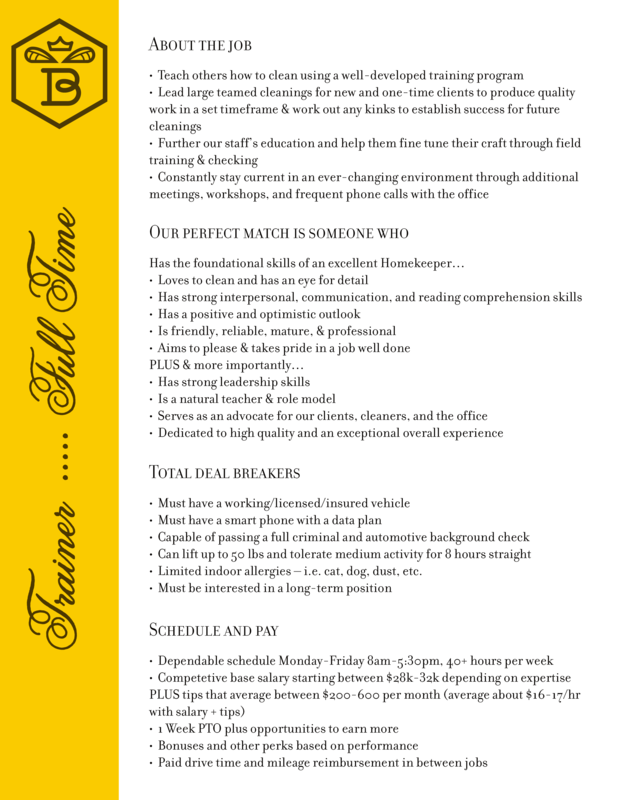 At Clean Bees, everyone starts at a base hourly pay. You can receive bonuses based on performance, PLUS tips. High performers can have high earnings! 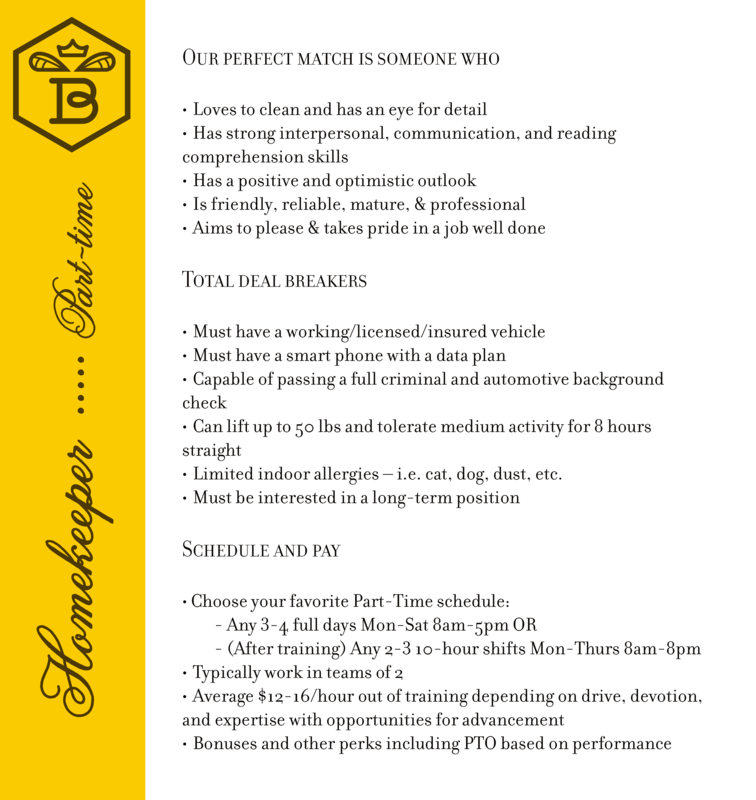 We also offer paid drive time & mileage reimbursement in between jobs. 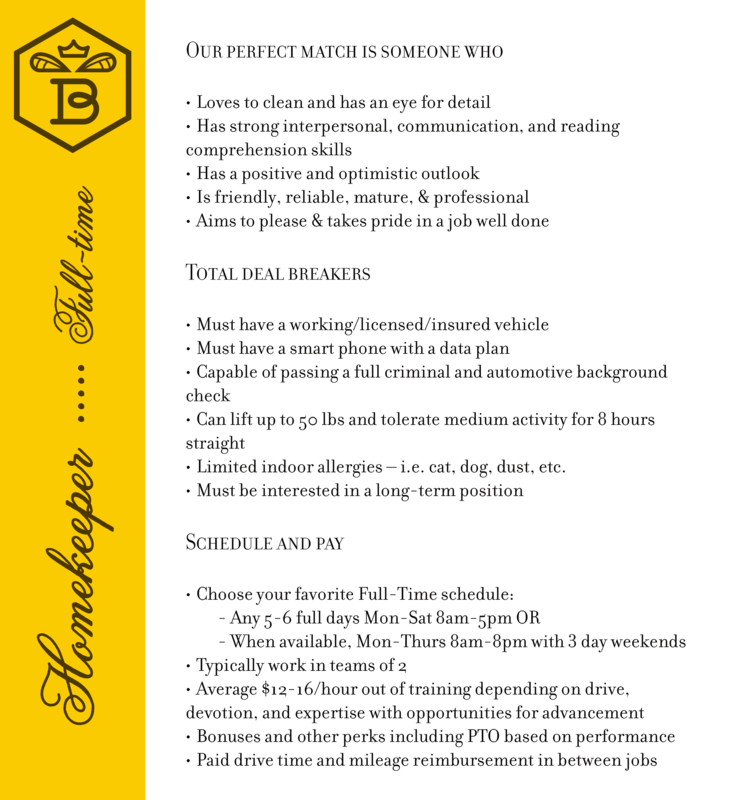 Our apprenticeship-like program that develops both your cleaning and customer relationship skills, so you can easily turn your clients into fans that rave about you! Plus, we give you the time to really dig in and produce excellent work. 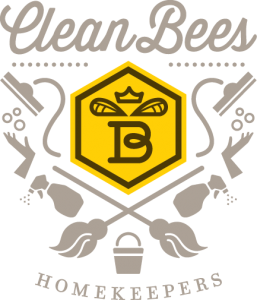 At Clean Bees, we work hard and play hard. Our events create a fun place to cut loose and make friends. The leadership team is supportive, knowledgeable, and respectful! If a company culture is really its “energy" then we are on fire! When and if you are ready to take your career to the next level, we have opportunities for advancement! Or if you are following a different passion, we provide the referrals needed to take you to infinity and beyond. We do more than just run vacuums, scrub tiles, and remove dust bunnies. We break the mold. Around here it’s about balance, harmony, time, and relationships. 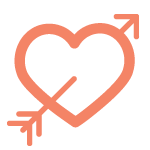 When we are hired to clean a home, office, or rental, we put our hearts into it. We do so much more than just vacuum, scrub, and clean. We break the mold. Around here it’s about balance, harmony, and relationships. We work hard to run a business we can be proud of and to cultivate an environment where our cleaners thrive and our clients are always thrilled with the work we do.